Easiest Scalloped Potatoes is an excellent and super fast way to make delicious scalloped potatoes from a mix, with special additions. Be sure to choose a mix that uses real dehydrated sliced potatoes. 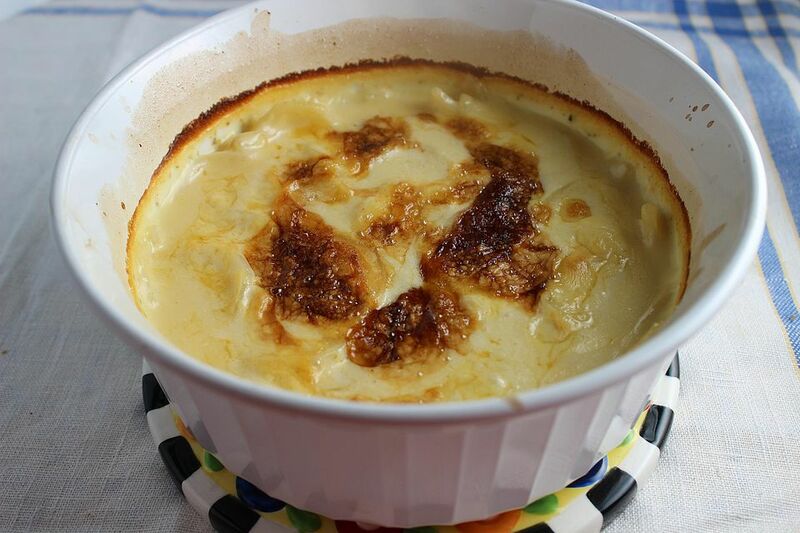 For a holiday dinner or a dinner of meatloaf in the middle of winter, nothing beats scalloped potatoes. They are real comfort food and everyone loves them. You can find packages of scalloped potato mix in the vegetable aisle of most supermarkets. The boxes contain dehydrated potatoes. Don't worry about that - the quality of the potatoes when they are rehydrated is excellent. This recipe changes the directions for making this convenience food by adding heavy cream instead of milk. That small changes makes a world of difference. Serve this recipe for a holiday dinner or for any family meal anytime. Preheat the oven according to the package directions on the scalloped potato mix box. In a 3-quart casserole, combine the dehydrated potatoes with the sauce mix and the amount of butter called for on the box directions. Pour over the amount of boiling water called for on the package. Be sure to use the correct amount - you're making two packages of potatoes, not one. Then, instead of the milk, add the heavy cream to the potatoes and stir well. Bake the potatoes according to the package instructions. Ten minutes before the potatoes are done, remove the casserole from the oven and sprinkle the potatoes with the Parmesan cheese. Return the casserole to the oven and bake until the potatoes are tender when pierced with a fork, and the top is golden brown. The sauce should be bubbling. Let cool for 5 minutes, then serve.